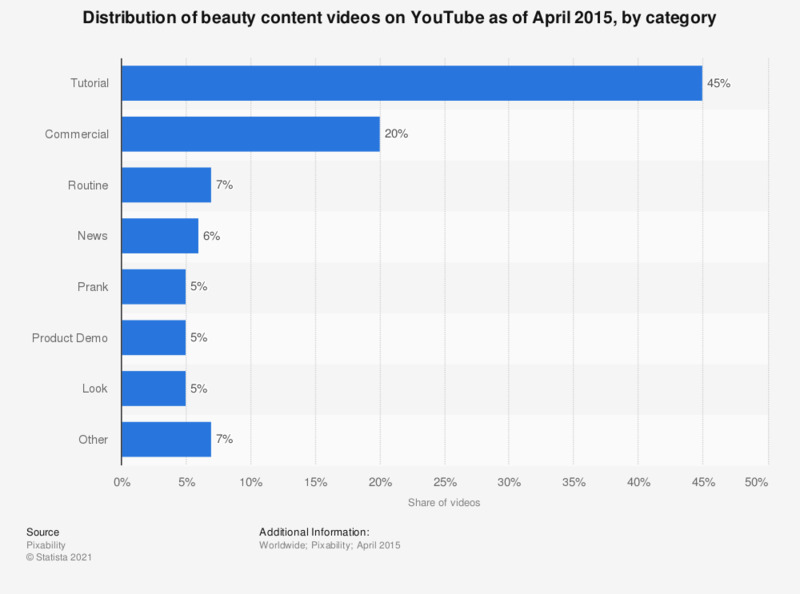 This statistic presents the distribution of beauty content videos as of April 2015, sorted by category. During the survey period, it was found that tutorial videos accounted for 45 percent of the YouTube beauty content. Commercial videos ranked second with a 20 percent content video share.